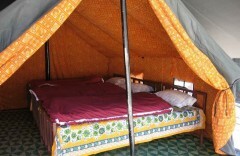 Spend two days engaging in adventure activities and stay in tents pitched at a beautiful campsite. You can participate in a range of activities like Burma Bridge, Monkey Crawl, rock climbing, rappelling and more. You can also venture out to explore the hills of Mussoorie on a short trek to the Jwala Devi temple. Alternatively, you can also relax at the campsite to idyllic views of mountains and woods. In the evening, you'll gather around a crackling bonfire to some light music, for a fitting end to a day spent reconnecting with nature. 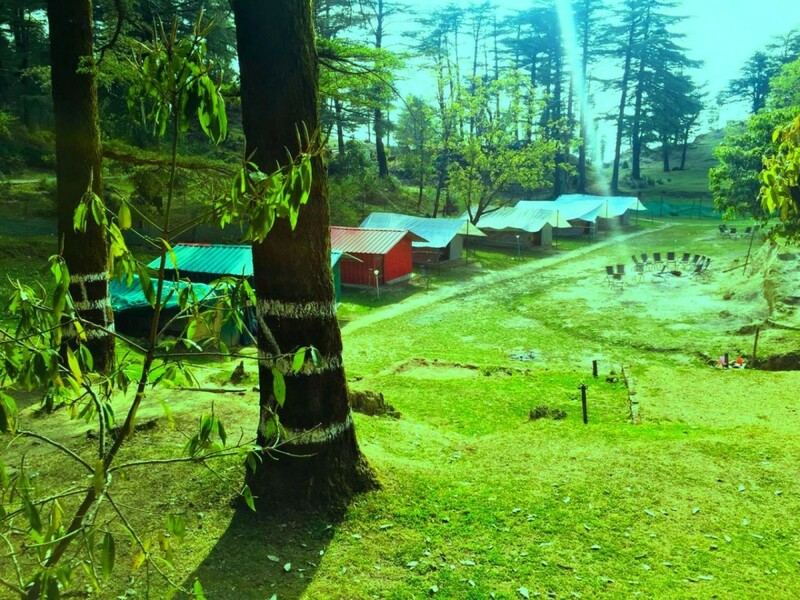 Located near the well-known hill station of Mussoorie, your campsite for this adventure trip is surrounded by the foothills of Uttarakhand's Garhwal Himalayas. The campsite is surrounded by lush green forests spread over acres and acres of mountain slopes. Untouched wilderness all around makes this a great way to take a break from the city life and spend a night in the mountains. Bookings for travellers younger than 5 years of age are not charged. Bookings for travellers between the ages of 6-12 years are charged at INR 600 per person. Bookings for travellers older than 12 years is charged at full price. Day 1 of the Mussoorie adventure camp: Check-in and enjoy! Arrive at the campsite by 12:00 hrs and check-in to your allotted tents. You can spend the rest of the day at leisure. 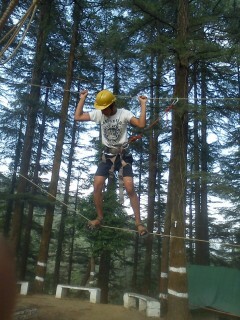 Participate in a range of adventure activities like Burma Bridge, Monkey Crawl, rock climbing and rappelling. You can also venture out to explore the surrounding area on a short trek to the Jwala Devi temple. Back at the campsite, you can also engage your friends or family in a match of volleyball or tug of war. 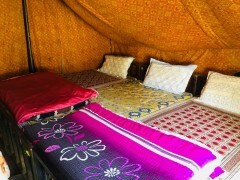 Alternatively, you can also relax in your tents. In the evening, you'll gather around a crackling bonfire to some light music. 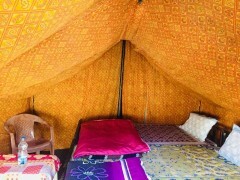 Overnight in tents at Mussoorie campsite.